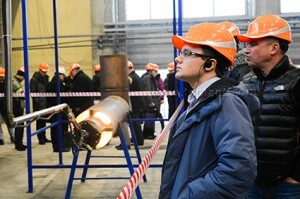 25-26 of February IPEC held two-day event included a workshop and equipment presentation at company’s’ production site. The educational workshop was attended by representatives of international oil and gas industry companies from South Africa, Turkey, Latvia, Estonia, Finland and Russia. 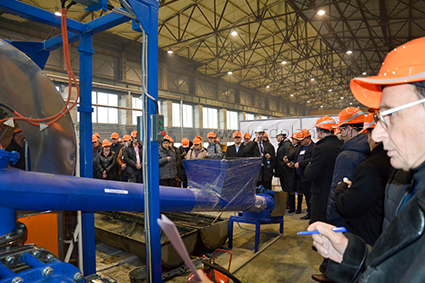 The first day of presentation was devoted to drilling mud treatment. The presentation of industrial waste thermal treatment technologies took place in Radisson Hotel. 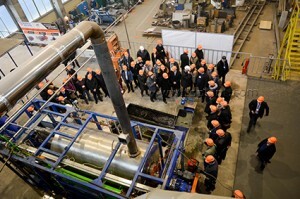 Then the participants were taken to the company’s production site, where they were shown the actual functioning of TDP-2-200 plant – equipment dedicated to the processing of hydrocarbon waste, including drilling fluids and oil based mud with a recovery of valuable products – commercially pure solid residue and liquid fuels. On the second day, the attendees took a part in a free discussion in the question-answer form dedicated to the oil sludge treatment and disposal. Ecology and process engineering specialists explained the complex issues. For the first time IPEC organized its training workshop. The series of the presentations are planned already for this year.